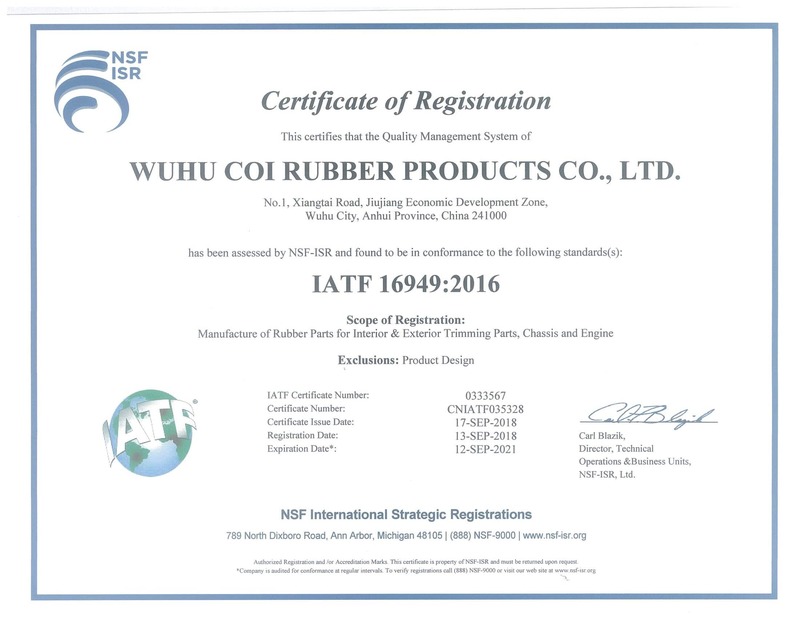 Coi Rubber Products respects your privacy and is committed to protecting information we collect about you in the course of doing business. We want you to feel secure when visiting our website. Therefore, we have prepared this Privacy Notice to inform you of the information we gather and how it is used. This policy applies to www.CoiRubber.com in the United States. While you may visit our website without identifying yourself or revealing any personal information, Coi Rubber gathers statistical information to understand visitors’ use of our site. Examples of this information include number of visitors, frequency of visits and which areas of the site are most popular. This information is used in aggregate form to make continual improvements to our website. It is important to note that no personally identifiable information about site visitors is used for this purpose. Coi Rubber may make your information available to third parties providing services on our behalf. We provide these third parties with only the information necessary for them to perform the services. Coi Rubber takes a number of precautions to ensure this information is transferred in a secure manner. Coi Rubber may disclose information about you collected on the website if required to do so by law or when necessary in order to protect the rights of Coi Rubber or its employees. Coi Rubber is committed to safeguarding the privacy and rights of children. We believe they should be able to use the Internet in a productive and safe manner with the highest protection available concerning their personally identifiable information. Coi Rubber intends to strictly protect the security of your personal information. We will safeguard your data from loss, misuse, unauthorized access or disclosure, alteration, or destruction. This may include the use of encryption when collecting or transferring sensitive data such as credit card information. This website may contain links to other websites. Coi Rubber is not responsible for the privacy practices or the content of such websites. You may, at any time, contact us at marketing@CoiRubber.com and update your personal and/or business information. Coi Rubber may modify or update this privacy notice from time to time at any time without prior notice. You can check the “Last Updated” date below to see when the notice was last changed. Your continued use of the website constitutes your consent to the contents of this privacy notice, as it may be modified from time to time.